Memes after the Deer Park ITC fire. 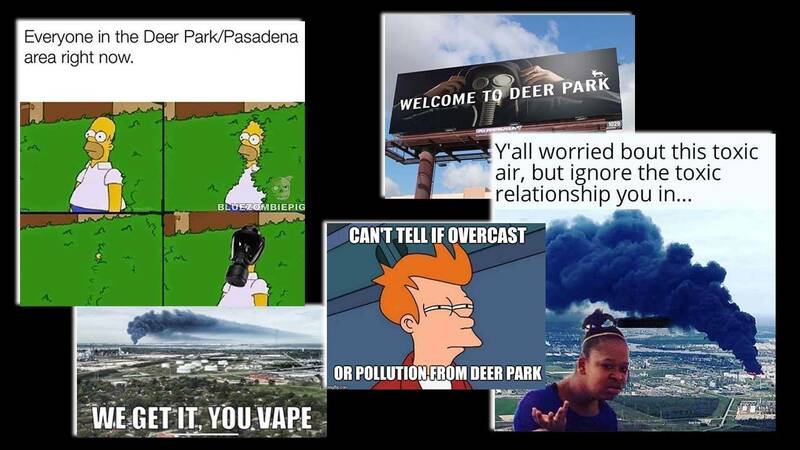 HOUSTON - The Deer Park fire continues to burn, Houston-area residents have turned to social media to share their frustration about the ongoing situation through memes. Here are some of the most creative memes shared online as the facility continues to burn, smoke billowing above communities.